Like most everything, camp enrolment goes in cycles. And, for the past few years, Camp Hatikvah has had a waiting list for its first session, a full second session and has closed off the summers with the highly popular Family Camp experience that sells out within hours of registration opening in October the year prior. With the largest-ever single age group of campers rising through the ranks, Hatikvah is looking to expand its facilities to accommodate these campers as they move toward the counselor-in-training program. Camp Hatikvah has a formula that seems to be working well. In order to fill every bunk, current board president Joanna Wasel worked closely with camp director Liza Rozen-Delman to make some changes in programming. In addition, they have brought the concept of camper care front and centre, and the programming is more flexible than the camp experience of yesteryear. As but one example, Hatikvah has been bringing in specialist instructors for activities such as tennis or mountain biking to run weekly sessions, and such initiatives are drawing campers. Once their interest is piqued, the kids tend to come back year after year. The list of former campers reads a bit like a who’s who of the local Jewish community, something that shows the link between camp attendance and Jewish community involvement. Many of the children from Camp Hatikvah are already well ensconced within the community; many are students at Vancouver Talmud Torah. Rozen-Delman noted that campers also come from Alberta, Ontario, Washington and California. 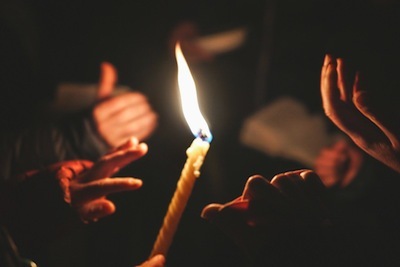 Hatikvah has combined a number of initiatives to draw a diverse group of campers, some of whom have no other connection with the Jewish community. The effort to diversify and attract unaffiliated Jews this year has been aided by the Laskin Outreach Fund. 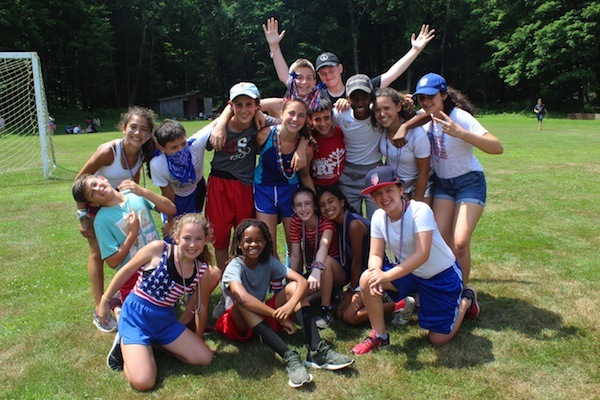 This initiative, created and entirely funded by Elliot and Megan Laskin, provides $1,800 (almost the full fee) to first-time campers from British Columbia with little or no Jewish communal engagement to try Camp Hatikvah in its second summer session. Although the programming for younger campers is focused on fun and socializing, with some Zionist and Jewish learning, it is the staff-in-training (SIT) program that begins the leadership training in earnest. 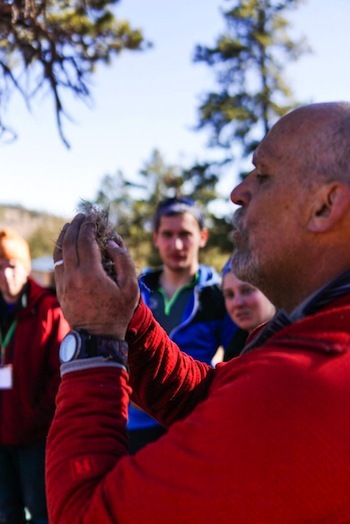 “This program is designed specifically to enhance the leadership abilities and traits of our campers. 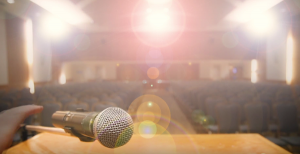 Participants engage in almost daily hadracha (leadership) sessions or discussions where they learn the importance of leadership, citizenship and community,” said Rozen-Delman of SIT. Both Wasel and Rozen-Delman are alumna of Camp Hatikvah, with Wasel starting as a camper in 1988 and Rozen-Delman in 1979. Both have worked and volunteered within the Jewish community, in addition to their work at Camp Hatikvah. While local Jewish life is part of the formula, Hatikvah’s Zionist roots are as strong as ever. Last summer, there were 14 Israeli schlichim (emissaries) on staff. This year’s camp sessions are both looking like they will be full, said Rozen-Delman. For more information on the camp, subsidies to attend or the Laskin Outreach initiative, call the camp office at 604-263-1200. Michelle Dodek is a freelance writer who spent one summer at Camp Hatikvah a long time ago and loved the sailing program. Let’s hear it for camp! Going to camp was a rite of passage when I was growing up. Everybody went to camp. In my day, it was the B’nai B’rith camp that all Jewish kids went to, in Sandy Hook, past Winnipeg Beach. I don’t recall much detail of my really young days as a camper, but we never missed a summer. As small kids, we went with our mothers. It all had to do with getting away from the oppressive summer heat and time at the beach, wading and swimming, sunning on a blanket, playing the games on the boardwalk. I would have an ice cream cone every day, even though, back then, all you could get were vanilla and strawberry flavours. There may have been chocolate, too. I enrolled in Young Judaea in my early teens. 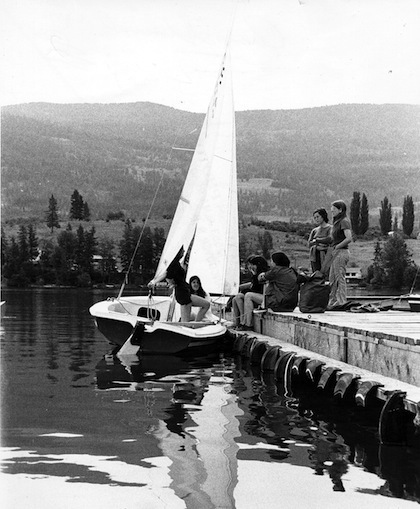 In the heady days leading up to and after Israel declared its independence, movements of every political stripe in Israel had a youth group and camps in Canada and in the United States. At camp, we built our Jewish consciousness and reinforced our Jewish identity. We were part of larger society, of course, but the one that was becoming central to our lives was the Jewish one, and the camp experience strengthened all that. Everything around our activities focused on our life as Jews, intellectually and emotionally, in our developing teen years. It was easy to pick out the future leaders – assertive, confident, basing their arguments on material accepted as fact. That was the stuff we brought forward into our adult years, colouring what we would become and the messages we would transmit to our children. Aliyah to Israel was an enormous focus of the Zionist camps I associated with. This possibility, went the argument, was why we had to study our history, our customs, our holidays. We were building a new kind of Jew, unapologetic for his striving nature, determined to never again be a victim. History’s lessons were clear and we had to take heed and take our future into our own hands. The camps I attended were the educational vehicle. In those days, we pretended we were chalutzim (pioneers), so we went out into the bush and made like we were going to live off the land. We built lean-tos to sleep under, chopped down trees, built things, learned how to make a campfire even without matches, and engaged in marches, canoeing, the whole megillah. The years I spent as a camper – learning to be a scout, learning to create things with my hands, to develop myself physically, to compete for excellence – we were modeling the new Jew. We were not content with just being students, we knew we could do that – we were going to be doers. We were building pride in ourselves and in our accomplishments. In turn, I became one of the leaders trying to transmit the messages I had absorbed to others. The young people I grew up with at camp worked in their own communities in the same way. All across the country and across the United States, we were a network fighting assimilation, building loyalty to Israel and a consciousness of being Jewish and the values it represented. One of the best experiences I had was when I was invited to be a Camp Shalom program director in Gravenhurst, Ont. I spent six months preparing programs and then threw them all out on my second day on the job. I spent the next two months preparing different programs on the fly, built around Jewish holidays or events in Jewish history. We organized camper teams, choosing names, uniforms and cheers, and had athletic competitions, colour wars, talent competition skits, swimming competitions or just fun at the beach. I don’t know about the campers, but I had a great time exploring my creative capacities. We set up a pattern that was followed for years at that camp. Some of us became community leaders. A few of us even got to Israel, at least for a time. Many of the associations we made have withstood the test of time. Some of the best friendships I have today are ones I made in those years. A good number of marriages came out of those experiences, including one of my own. What a wonderful institution camps are, whatever their nature! Bringing kids into a healthful environment with responsible supervision, living lives completely different from what they are accustomed to, meeting people they would not normally meet, exposing them to alternative behavioural norms, has to be good. And getting away from the city into a natural environment, who has to be convinced that that is a good thing? Let’s hear it for camp days. Rah, rah, rah! There is something special about camps. Transporting kids out of their customary environments into something that is at least somewhat foreign is a great stimulus to change. New people and new situations over a few-week period force more rapid adaptations than would normally be required. 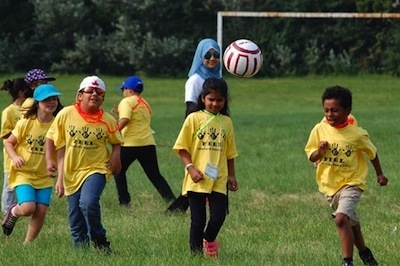 Camp offers an environment for kids and youth to have fun and learn new skills, but also to consider who they are as individuals, without the close observation of their parents. Some kids bloom in surprising ways at camp. They get a chance to use and develop aspects about themselves that they either never realized were there, or haven’t had a chance to exercise. For better or worse, the regime of mom and/or dad is challenged. Different rules apply, and often they are enforced with a consistency not found at home. There is no one immediately there to intervene in one’s interaction with bunkmates, for example. Kids have to work issues out between themselves as they temporarily share their world. This is what it is like in the real world, and we learn lessons at camp that we might not learn if we just stayed home. And we get to measure ourselves against others. We get pushed to compete, to strive, to be better, because everyone else is doing that. This allows us the chance to grow in self-confidence. It’s not just family encouraging us, it’s the approval (or disapproval) we gain from those around us – strangers who can become our friends. Camp offers so many things: the chance to escape the city, to learn to swim and do other sporting activities, to be creative with arts and crafts, and to be self-sufficient in less inhabited areas. The list goes on. What about the songs and dances that we join in with others, which make us feel good, and a part of something larger than ourselves? What about the friends we make, some of whom will be there for us throughout our life? What about the chance to develop and exercise leadership and initiative? The most delicious thing about this recipe for growing kids into grown-ups is that it’s all about fun. This isn’t about “a little bit of sugar to help the medicine go down.” It’s sugar pops all the way. And a side benefit accrues to parents, who get a little respite when they ship their kids off to camp. Being a part of the camping experience opens up a universe of possibilities for those who are fortunate enough to have a chance at entry into that world. 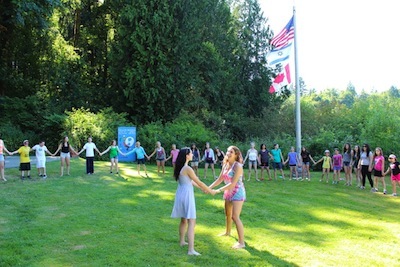 Camp Solomon Schechter (CSS), located outside of Olympia, Wash., was mired in controversy earlier this summer, after it temporarily flew a small Palestinian flag alongside the large American, Canadian and Israeli flags that usually wave above the camp. The flag was hoisted to welcome a delegation from Kids4Peace, which included Palestinian Muslim and Christian children. The children had come to the Jewish summer camp to foster friendship and understanding. According to a source at the camp, the decision to raise the Palestinian flag was not a political one, but was intended as an expression of the mitzvah of welcoming guests (hachnassat orchim). The 13 children from Kids4Peace, whose visit inspired the incident, spent five days at the camp, where they attended Jewish prayers every day and learned about Zionism and Israel. Founded in Jerusalem in 2002, Kids4Peace is “a global movement of youth and families dedicated to ending conflict and inspiring hope in divided societies around the world,” according to its website. The organization works with more than 500 Palestinian, Israeli and North American youth. The flag incident was first publicized on the Mike Report, an amateur news blog hosted out of Seattle by right-wing, pro-Israel activist Mike Behar, who was highly critical of the actions of CSS. The news of the raising of a Palestinian flag sparked intense criticism online and among some parents and alumni, including many British Columbians connected to the camp. The apology subsequently issued on the CSS Facebook page was met with so many hostile comments that the page itself was taken offline for a time. The incident attracted attention in American Jewish papers, as well. Tablet’s Leil Leibowitz, who acknowledged that, on one level, the flag raising was a “sweet gesture,” nevertheless wrote a fiery op-ed accusing CSS of addressing “the Israeli-Palestinian conflict in a mindless, morally preening way, treating it not as something concrete but as a collection of grand symbolic gestures,” and suggesting that training children on such empty theatrics would set them up to join “fringe anti-Israel groups” as adults. Kids4Peace released an official statement, saying that, “To some, the Palestinian flag evokes the failure of past negotiations, continued hostility toward Israel and a feeling that there is no partner for peace. Both the Israeli and American governments have flown Palestinian flags in gestures of welcome or goodwill. The White House flew the Palestinian flag when Palestinian President Mahmoud Abbas met with U.S. President Donald Trump earlier this year. Israel lifted its ban on flying the Palestinian flag in 1993 and there were Palestinian flags flown at the Knesset in 2013, when a Palestinian delegation visited. Likewise, at a ceremony thanking all those who helped douse the wildfires in Israel’s north in 2016, the Palestinian flag was flown at an Israeli air base, next to the flags of Turkey, Russia and Greece. Matthew Gindin is a freelance journalist, writer and lecturer. He writes regularly for the Forward and All That Is Interesting, and has been published in Religion Dispatches, Situate Magazine, Tikkun and elsewhere. He can be found on Medium and Twitter. This article was originally published by CJN.